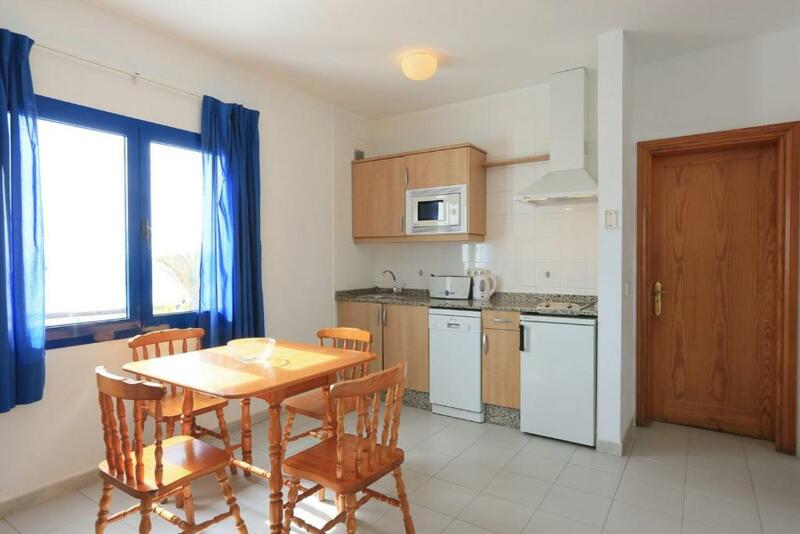 Big rooms, well equipped kitchen, huge balcony. Beautiful ocean view. The location was okay and we had a lovely view of the sea. The apartment was very spacious and I didn't mind the pine furniture. Outside area large with table and chairs. The kitchenette looked new and updated, but a draw front was broken. A dish washer was also in this apartment although not used. An iron and board provided we did not use kettle and toaster looked new, beds were comfortable. Wardrobe space good. Cycles close by, enjoyed the coastal ride mostly flat. Reception staff member was extremely friendly and very helpfull. Also liked the location of the apartment I stayed in (no 5) - lovely sea view at the front and on level ground. Also liked the availability of both a hairdryer, iron and ironing board. I would definitely consider staying again . Everything .Rose on reception is lovely,so cheerful. Club Pocillos This rating is a reflection of how the property compares to the industry standard when it comes to price, facilities and services available. It's based on a self-evaluation by the property. Use this rating to help choose your stay! 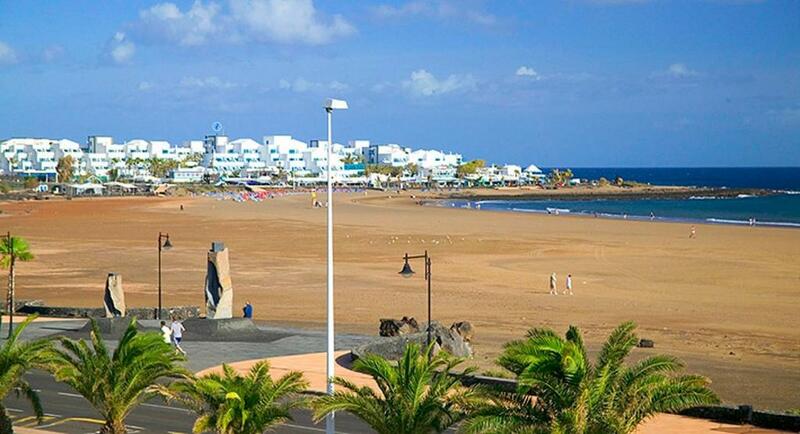 Stroll down to the beach from the apartments and take a dip in the cool, Atlantic waters. 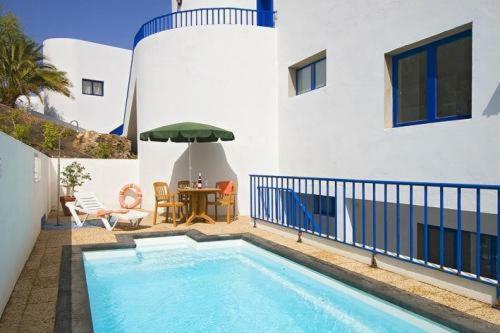 Alternatively, you can relax by the swimming pool, complete with parasols and sun beds, where you can sunbathe. 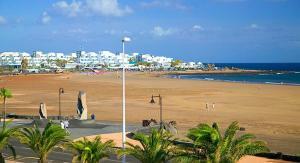 This complex is also located only a short walk from numerous restaurants, bars, supermarkets and nightclubs. 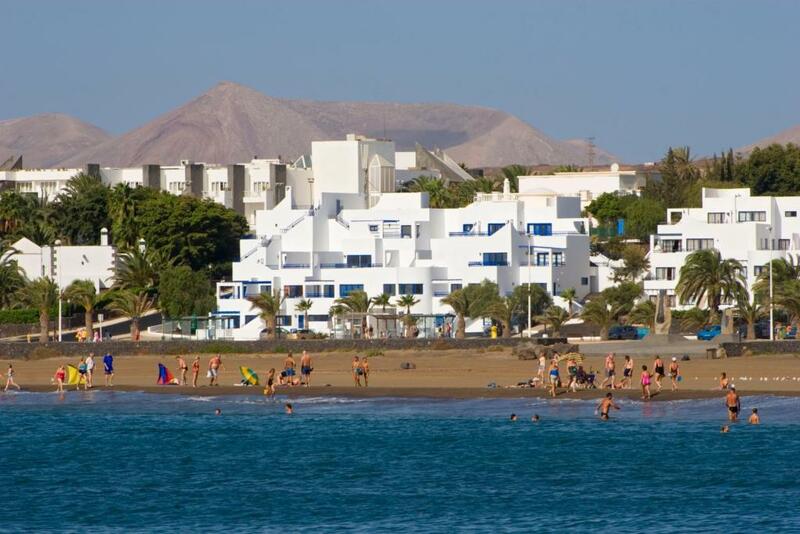 From this complex you can easily get to Lanzarote airport, which is 1.9 mi away. When would you like to stay at Club Pocillos? This two-bedroom apartment features a lounge and beach views from one of the bedrooms. The kitchen includes a hob, microwave, kettle and dishwasher. A coffee maker is available upon request and some apartments have 2 bathrooms. Air conditioning is available for an extra cost. Accommodates 4 adults and 1 child. Please note there is no terrace. This one-bedroom apartment features a terrace or balcony with sea views and 2 single beds. The kitchen includes a hob, microwave, kettle and dishwasher. A coffee maker is available upon request and air conditioning is available for an extra cost. This apartment has a satellite TV, microwave and sofa. This apartment features a microwave, dishwasher and cable TV. House Rules Club Pocillos takes special requests – add in the next step! Club Pocillos accepts these cards and reserves the right to temporarily hold an amount prior to arrival. Please advise the complex in advance if you are scheduled to arrive outside of opening hours. The apartment complex reception has a 24-hour contact number. American Express Card is not accepted as a method of payment. Please note apartments are cleaned 3 times per week at the same time as the towel change. Bed linen are changed once per week. For the purpose of my trip, the accommodation was perfect. I have no complaints. All was good for such price. The staff, Rosa was so helpful and friendly. The kitchen was well equipped. Apartment was basic but clean. Wonderful sea views. I asked for a high floor room with sea views and I got exactly that. Fantastic. Rooms were a little tired and could do with an update, however most things you need are available. Although spacious the bathroom was not clean. Some tiles in the bathroom were cracked and over the toilet it had a large plastic adhesive over several tiles, unsure if this was to stop tiles from falling off as there was an evident bulk in the wall. Some thing had been removed from bathroom and it looked unfinished as holes were just filled in. The second bedroom looked out over the indoor reception which had communal seating area you could hear people chatting, we did not use this bedroom. While the apt had everything that it showed on it's website, it very badly needed a coat of paint as it was very tired looking & definitely needed a good deep clean. Even the spare blankets we're grubby. I didn't see the small pool being cleaned at all & constantly had dirty leaves & debris in it. Some more cutlery and cups and Some nice wine glasses. I only stayed here 3 days but didn't have any fresh towels during my stay. Apparent allocated the steps were too narrow for luggage and steep,and kitchen not well equipped for self catering needs.